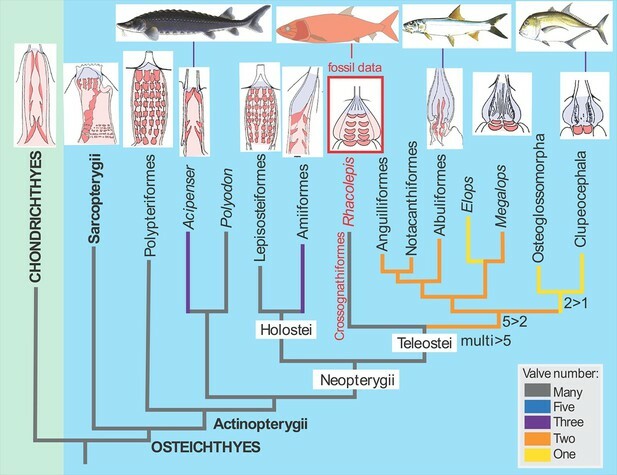 The discovery of the fossilised Rhacolepis heart is significant because the range of valve patterns in early ray-finned fish hearts is strikingly diverse. Some, like the very primitive (“basal”) ray-finned fish Polypterus (the African reedfish), have nine rows of valves, whereas most of the modern group of ray-fins, the teleosts, have just a single outflow valve in the heart. 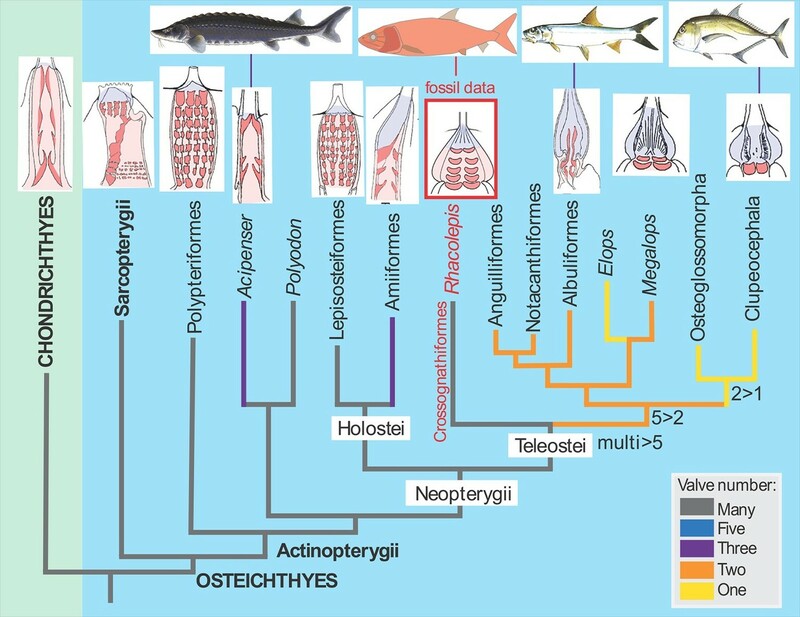 The fossil heart data from Rhacolepis shows an intermediate condition between the many-valved types seen in basal ray-finned fishes (actinopterygians) like Polypteriformes (the order that includes the African reedfish) and the single-valved hearts in modern teleosts. Images of the hearts showing valves (red) are oriented with the top of the image pointing towards the head of the fish (taken from Maldanis et al., 2016).